English Translation To French: Is Literary Translation Different To Other Types Of Translation? English translation to French can be done on any kind of document. It is often done on technical, legal or business texts, but it is also extremely useful in the literary world. Fiction and non-fiction books need to be translated from their original language into something that the rest of the world will understand. And it’s not just novels and non-fiction books that fall under the banner of literary translation. A language translator will be called upon to translate plays, poems, and even magazine articles. When it comes to translation, translating literary works is considered one of the highest forms of the art. This is because it is so much more than simply translating the text alone. A translator French English must also be able to translate the feelings, humour, subtle nuances, and cultural references in order to create a readable, enjoyable piece of work. It is almost like writing a book from scratch, using the original text as source material. Therefore it can take many months to translate a complete novel, for example. This will need to be factored into the costings and timeframe. Some even suggest that a true literary translation is just not possible – especially when it comes to poetry. There is even a poem written by American poet James Merrill in 1974, called ‘Lost in Translation’ which explores the topic. If something is written with a lot of meaning in one language, it can be difficult to translate it with the same meaning into another. But a good literary translator will be able to. 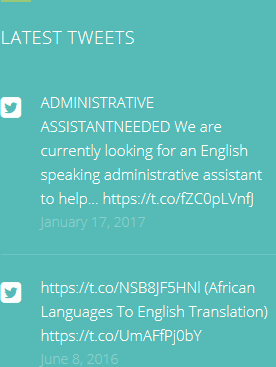 No matter what you need translating, HQ-Translators can offer exceptional English translation to French. 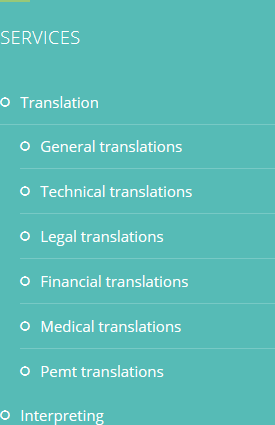 Our website (https://hq-translators.com) has all the information you might need to start your search. 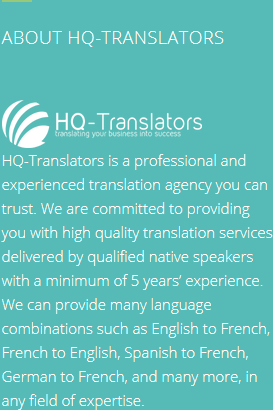 Our email is infos@hq-translators.com, and you can also phone on (00 237) 242 71 38 38, or (00 237) 693 21 69 27.